​Dr Pushpa Chandra is ​taking part in the World Marathon Challenge from 30 January to 5 February, ​aiming to raise $30,000 for Plan International's Schools on Wheels and make it possible for 60 disadvantaged girls in Mumbai, India, to go to school. She is appearing regularly on the Weather Channel to promote this event. Dr. Pushpa Chandra is a Vancouver-based Naturopathic Physician. She worked for over 27 years as a registered nurse and 22 years at BC's Children's Hospital, working in critical care with the province's sickest children. Her interests include research in circadian rhythm disruption, sports medicine and pediatrics. A competitive sports enthusiast, she has completed ultramarathons and marathons in all 7 continents. 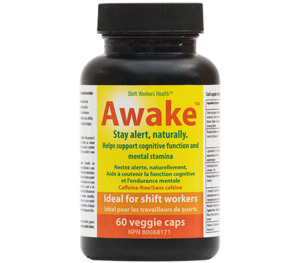 As a shift worker she has been using the ingredients of AWAKE and ASLEEP to boost her performance, endurance and overall health. The ultimate energy challenge – how one 60-year-old conquers it!